With the emergence of fitness fad after fitness fad, one truth that seems to be present in all of them is core strength. Many fitness fads attempt to sell you on the idea that you can spot remove fat through core strength exercises. While this may not actually be feasible the act of increasing your core strength is actually very good for your health. It can increase your BMR (Base Metabolic Rate) by increasing lean mass which can help lower body fat, but it also helps to stabilize your spine giving it protection from injury and helping to support your upper body during regular daily activity. A lot of people have desk jobs and a strong, stable core is very important in these environments. Without it you could develop a lot of back pain. One fitness craze that has proven to be much more than a fad is Yoga. Many of the poses and stretches incorporated into yoga classes actually strengthen the core muscles of your abdomen and lower back. Specifically the “core muscles” are the deep abdominal and lower back muscles that attach to the spine and pelvis. Weak core strength can lead to more than just lower back pain including bad posture (which can cause pain in other regions of the body) and poor balance which can lead to injuries. Both abdominal and back muscles work together to support the spine when you do just about everything. Sitting, standing, walking, running, bending, lifting, reaching, etc. There are a lot of different exercises which are good for building strength in your core. Some of which can actually cause further damage to your spine such as crunches. We usually recommend doing low impact movements for beginners such as planks, side blanks, body weight squats and good mornings. There are also several yoga stretches and poses which are very beneficial to the core. 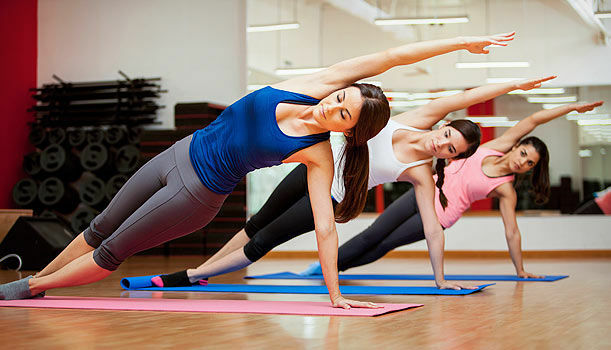 We recommend consulting a doctor before starting any exercise regimen and rather than giving you advice on yoga, we suggest you seek out a yoga studio in your area to get expert advice. Its important to understand that having a good solid core will help to protect you from incurring low back injuries but exercises that strengthen these muscles can also be used to speed injury recovery. If you have any questions about how you might be able to improve your own core strength or if you have been dealing with a nagging lower back injury please contact us today. We will answer your questions and schedule an examination so you can learn more about how to heal and prevent future injuries.